During the hot summer of 1984, the border city of Laredo, Texas witnessed the first hand shake and "many salutes" symbolizing the foundation of a much valued business partnership and important friendship between Todd, Clay and Steve Aaron of Stevens Transport and myself, J.O. Alvarez, Jr.
Todd Aaron, my father (J.O. Alvarez, Sr.) and I had the brainstorm idea of developing a diversity partnership, as a suite of products available to the logistics shipping public who's corporate mission is to help support and develop diversity in our community. Construed by today's standards, as one of North America's most coveted cross border logistics partnerships, B2B Transport Market, LLC was founded out of market demand for quality national diversity suppliers. I, J.O. Alvarez, Jr. am the 51% owner and President of B2B Transport Market, LLC. I manage the day-day operations of our multifaceted suite of logistics products. These operations include over the road temp control and dry truckload services as well as temp control and dry assets based intermodal "load to ride" service. For our intermodal services we have contractual relationships via partnerships with the BNSF, Union Pacific, CSX, Northfolk Southern, KCS and IC and 3PL truckload/LTL services. Having received his Customs Broker license in 1980, J.O. brings 30+ years of heritage and experience in the U.S. Customhouse field, freight forwarding and distribution business to B2B Transport Market. In 1990 J.O. 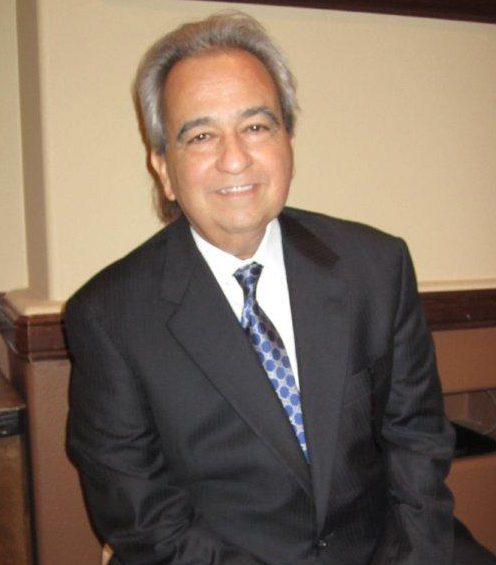 Alvarez, Jr. was appointed President of JO Alvarez, Inc. Licensed Customhouse Broker, headquartered in Laredo, TX with offices in McAllen TX, El Paso TX, Nogales AZ, Douglas AZ, Along with international offices strategically located in Nuevo Laredo, Tamps; Monterrey NL & Guadalajara Jalisco, Mexico. J.O. Alvarez, Inc., has been transacting customs' import and export business on behalf of the importer since 1956. With over 45 years experience and the combined expertise of 4 licensed customer brokers, JO Alvarez, Inc. has established long-term relationships with major government entities such as the Department of Agriculture, Department of Fish and Wildlife, Department of Food and Drug, and other agencies involved in the trade process. With over 200,000 square feet of warehouse & bonded warehouse space situated on 12 acres of developed land. J.O. Alvarez, Inc. handles the distribution and logistics for many Fortune 500 companies. In fact, Stevens Transport's international gateway to Mexico begins at J.O. Alvarez Tex-Mex Industrial Park, owned and operated by J.O. Alvarez Customhouse Brokers.